Jom Jom Malay– Go Go!! Now & Again!! Jom Jom stands for ‘Go Go’ in Malay language and it truly is an authentic Malaysian restaurant, first of its kind opened in Delhi NCR. Located in the heart of the city at the once-famous-then-dead-now-reviving Ansal Plaza Mall, it is easily accessible and trust me, you would want to visit this place once, again and again. 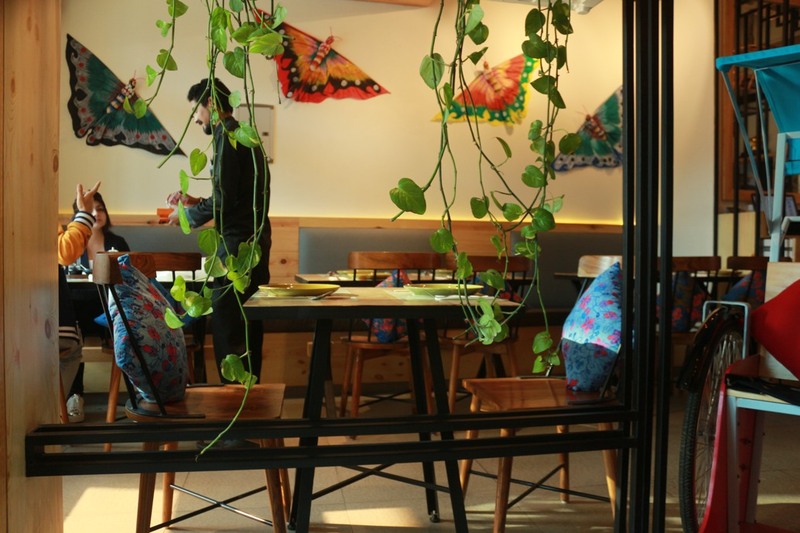 As we enter the small little eatery, we are welcomed by subtle, playful and balanced interiors, all done in Malaysian style. The staff did mention that the owner has hand-picked the interiors and stuff from Sarawak – Bali. The vibe is comfy and cozy, with Indie music playing in the background. The staff is all smiles, courteous and ensures you are at ease with the taste and authentic method of enjoying Malay cuisine, very important for a first time visitor. 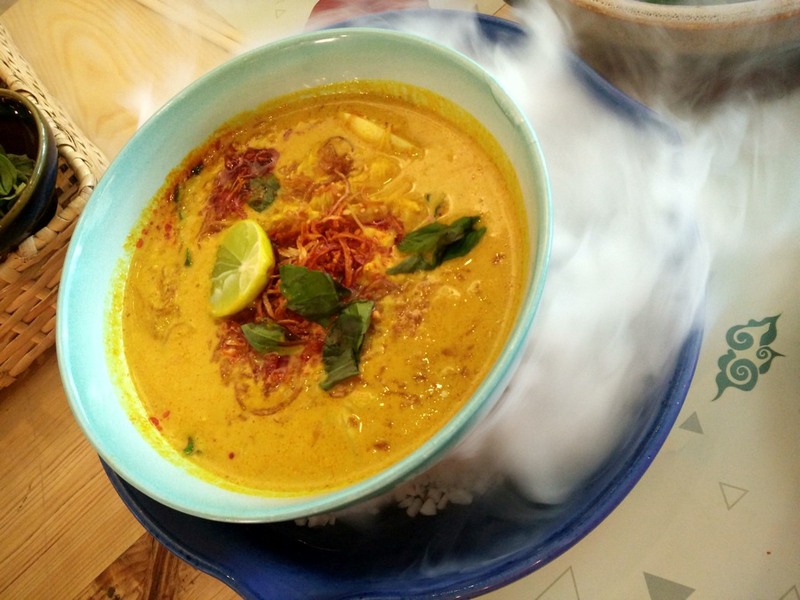 The aroma of coconut milk couldn’t make us wait any longer, and we were sure to taste some fabulous dishes with liberal use of this key ingredient. We started with Bao – chicken, lamb, duck and prawn. 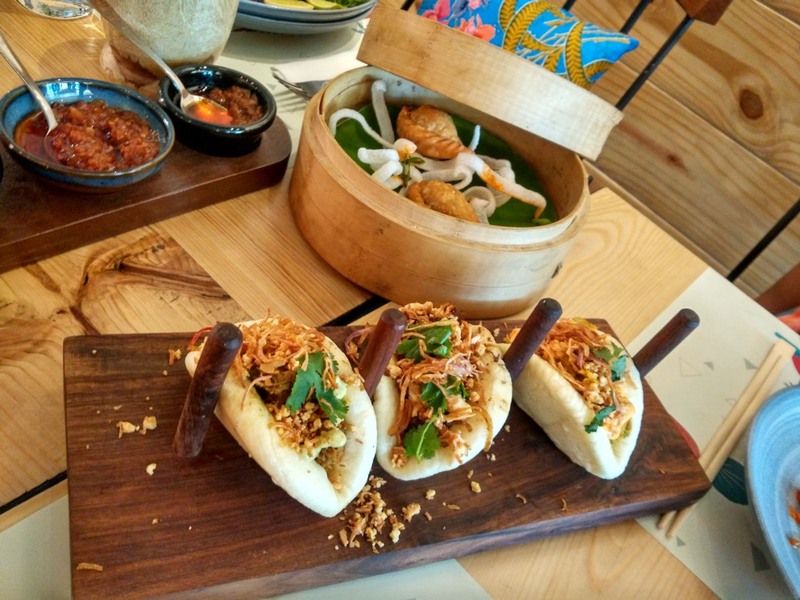 My favourite and recommended must haves include Duck Bao which was tender, juicy duck with a strong yet reasonable smokey flavour and Chicken Bao – fresh soft chicken meat with the right tinge of herbs. The Baos just disappear in no time when you try them with chilli garlic sauce or shrimp sauce or else, make a condiment of your own choice that best suits your taste. Ask the chef for a handful of elements – garlic, green chillies, onion, spring onion, peanuts, red chilli powder, salt, sugar, and lemon and chili oil. Here you go, choose the right ingredients, wishful quantity and make a yummy condiment on your own to savour. Next we tried the Satay Platter serving each of chicken, lamb, prawn and fish. Served along with an amazing peanut dip, crispy prawn wafer, spicy cucumber salad, laksa – meat curry and roasted peanuts for that extra crunch. My take: Lamb – a bit overcooked; Chicken – always safe, yet delicious option; Fish– authentic, you might not relish for the strong aroma of fish; Prawn– simply wow!! 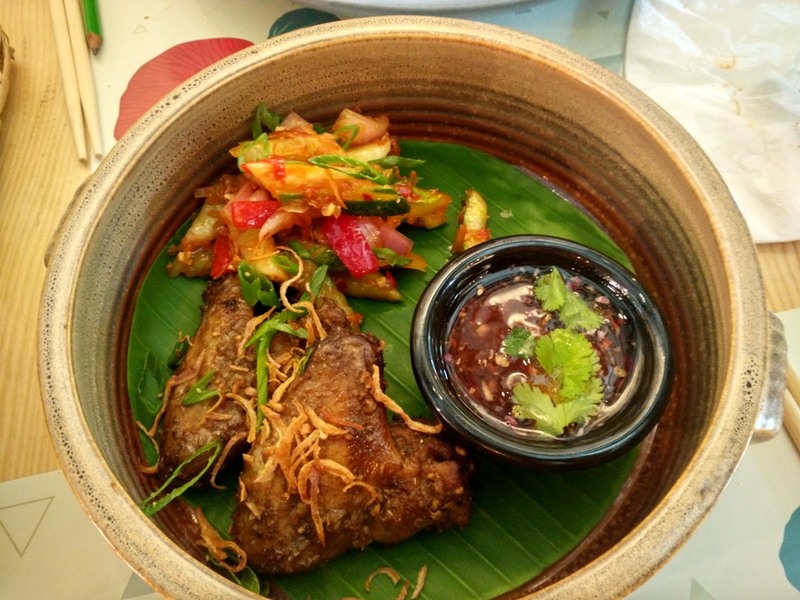 We also enjoyed Ayam Kalasan – juicy chicken wings and Nyonya Laksa. Laksa, as we have in genuine Malay cuisine is served hot with kari (curry) and a choice of noodles/rice/vermicelli. 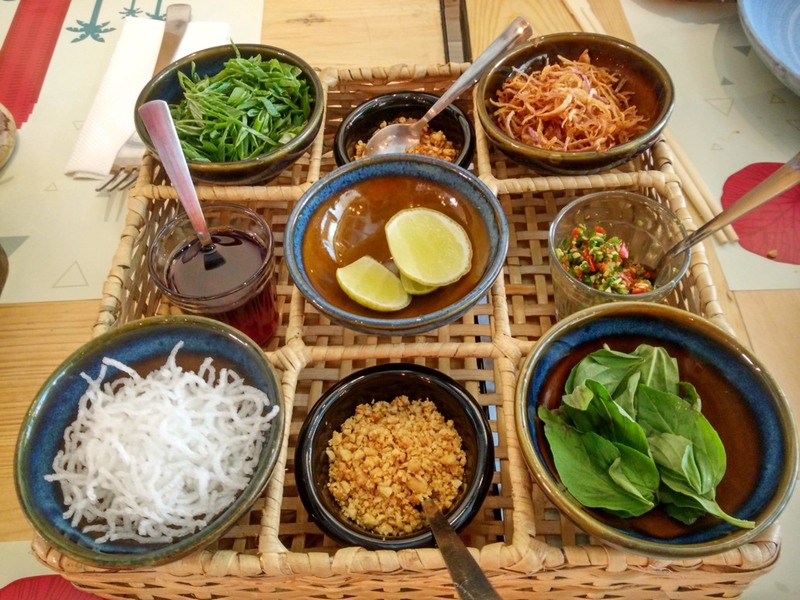 Alongside, you have the bonus toppings – basil leaves, fried vermicelli, fried onion, fried garlic, spring onions, peanuts, lime and chilli oil. Phew! It’s a crime if you miss to have this heavenly plate of cooking. 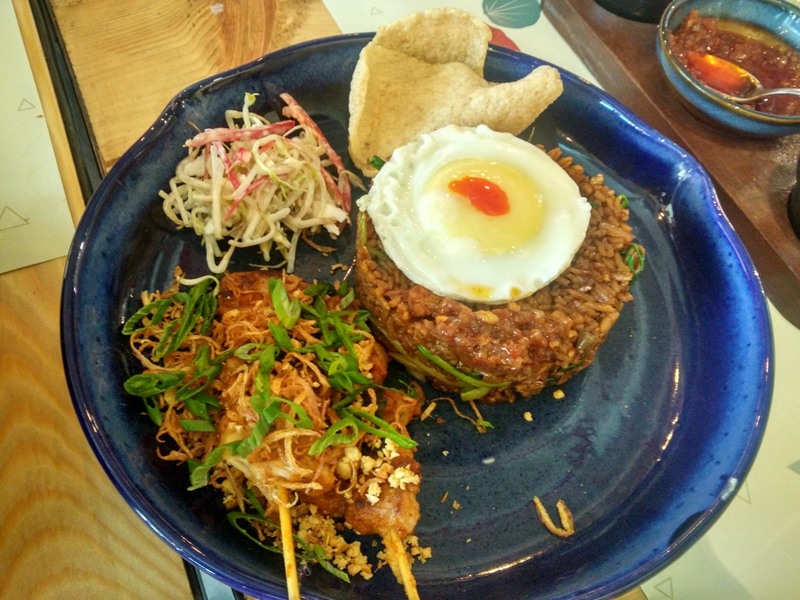 Don’t miss Nasi Goreng and a plate of Rendang with Roti Canai (Malabari Roti). Roti Canai can be a bit heavy on the stomach, but it’s a no miss, still. 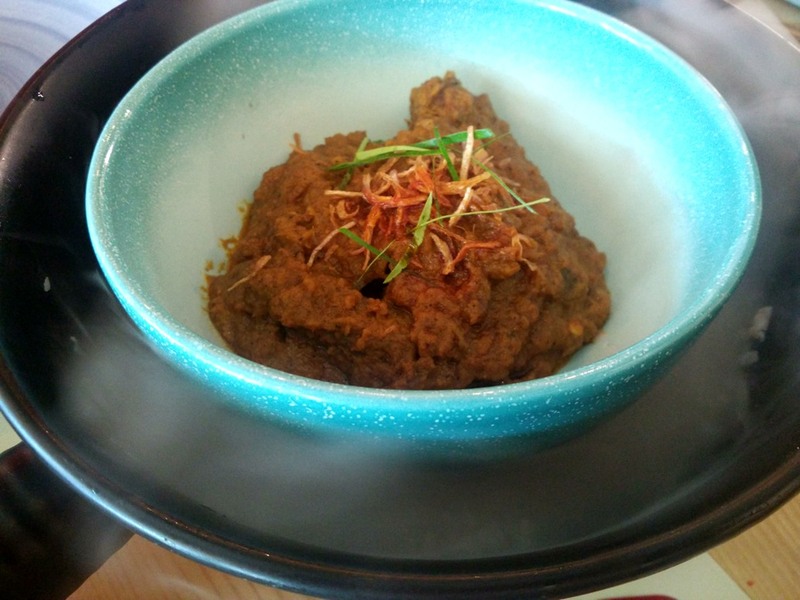 Rendang is tender meat cooked over for hours to give you that mind-blowing taste. 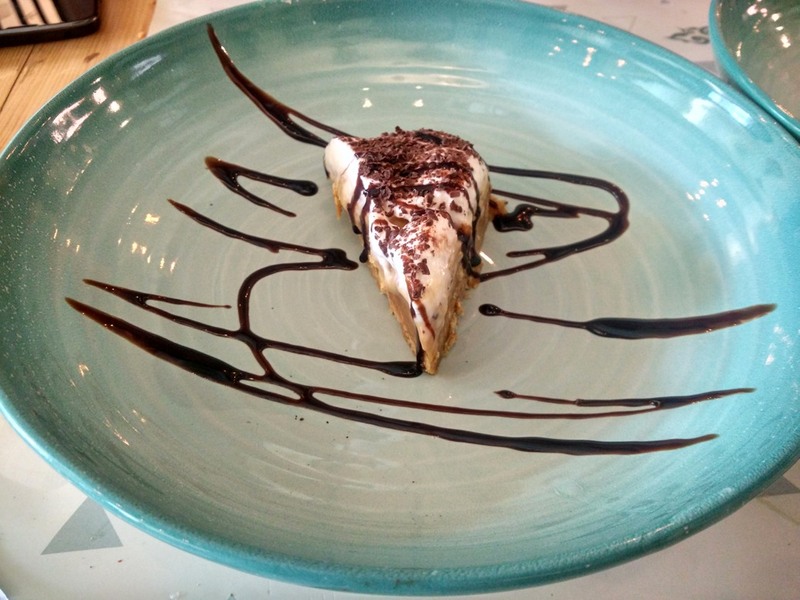 Desserts need a special mention. 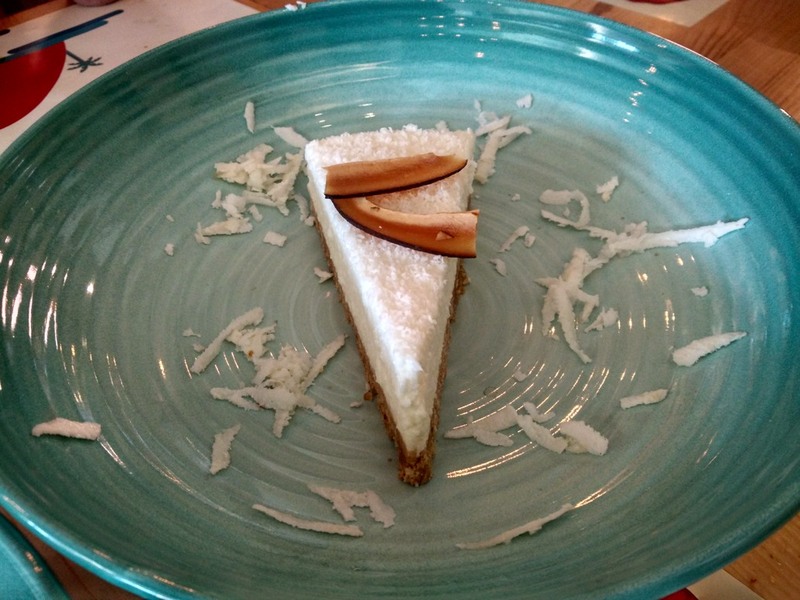 Give your sweet tooth a delightful bite of Coconut Cheesecake– true to its name and Bannofee – rare magic of banana and toffee. Simply incredible and the best way to finish a scrumptious meal! Out of a lot of places I have lately visited, Jom Jom Malay is a place I would love to revisit for its mocktails. 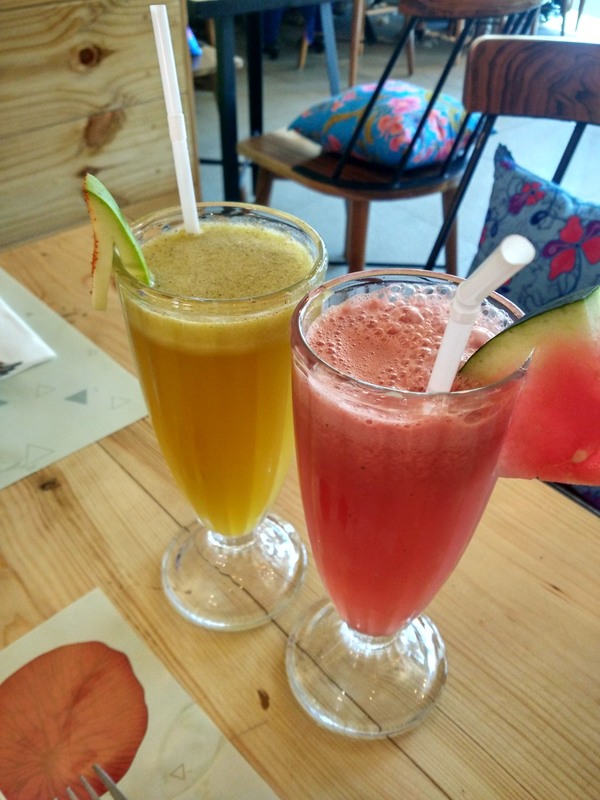 Be it Mylo – Malaysian national drink, Iced-Kopi-o – iced coffee, Mentah Manga – ripe mango, Watermelon Basil Smoothie – fresh basil leaves ground in watermelon fruit drink or simply Teh Tarek – tea!! The chefs are playing sinfully well with the flavours and creating some magical drinks to accompany their eclectic food preparations. The food blend is well stabilized with lots and lots of fresh herbs and spices. And, the abundant use of coconut milk just makes the dishes light, yet creamy thick in texture. It sits pretty well on Indian palettes. 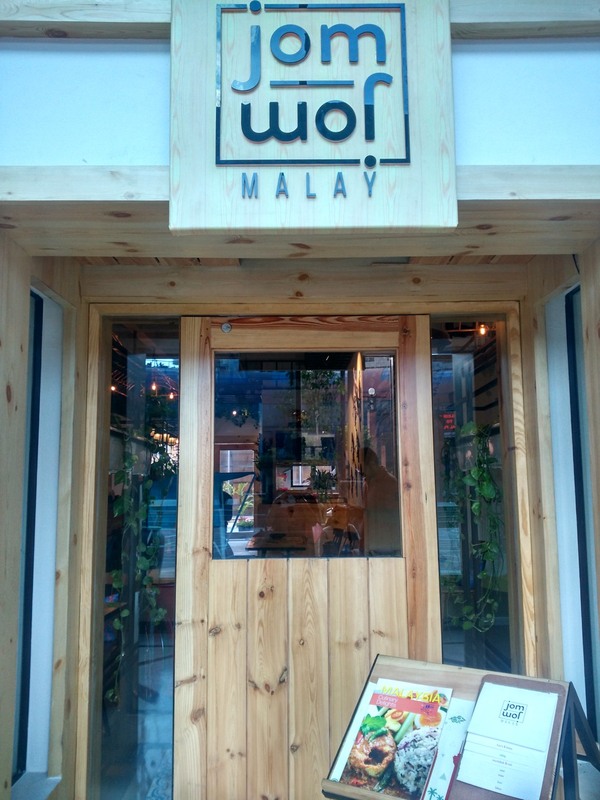 I give Jom Jom Malay a warm smiling welcome to my wish list and appreciate for it took me on a lovely gastronomic journey with an off-beat culinary experience. Veda’s 10 glorious years of serving authentic Indian Food. Filmy Cafe for the filmy people!! 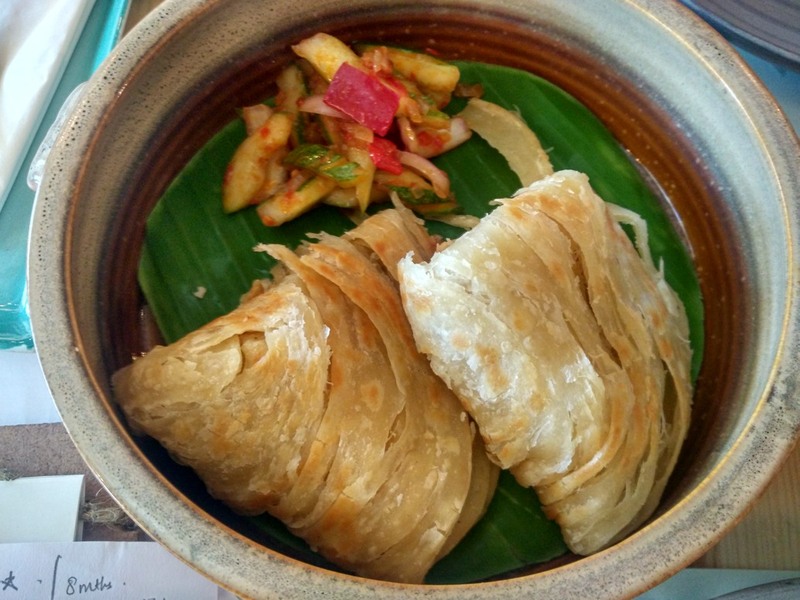 A preview of The Westin Gurgaon’s South Indian Culinary Trail! very nice blogs and a quality information which is really helpful for foodies like me.